Chelsea’s promising youngster Ethan Ampadu has become one of the most talked about players at the club after his impressive cameos for club and country, and now he turns 18. 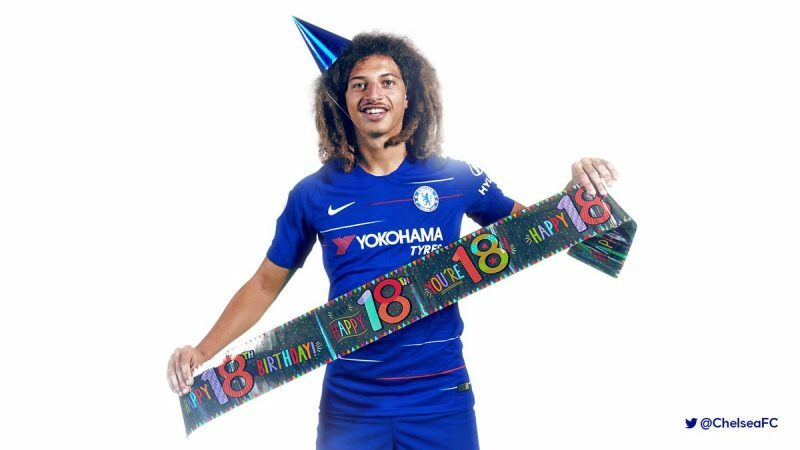 His new age was announced by Chelsea on Twitter with a picture of the lad holding a scarf that had the inscription, ‘You’re 18’. Ampadu has looked bright in his short stints at the club and continues to train with the first team after impressing Maurizio Sarri who blocked loan bids for him in the summer transfer window.